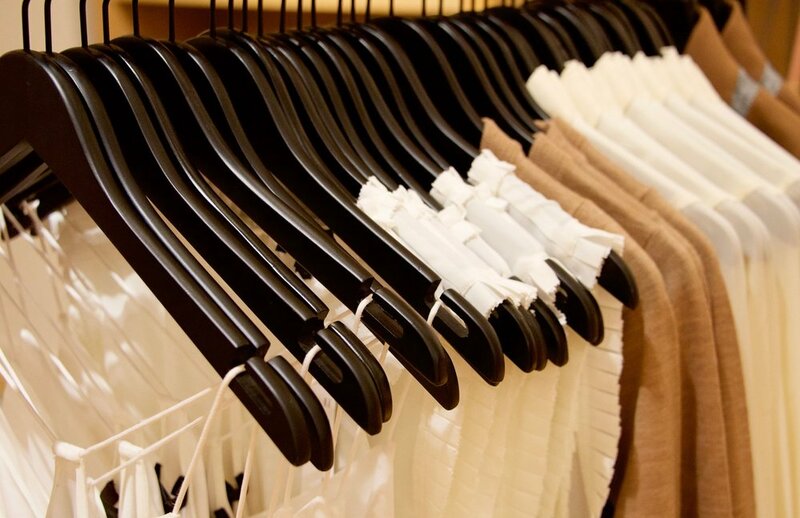 The Ideal Closet offers personal shopping and personal styling services to help each person look and feel their best while making the most out of their time and budget. Eliminate the fear you have every morning when you wake up, open the closet door, and think, "What am I going to wear today?!" Very few wake up without this fear, and after a closet consultation with our wardrobe stylist Katie, this could be you too! In just a few short hours, Katie can sort through your closet and identify the items you need to keep, donate, or throw away (and if you don't have time to take your clothing to a donation center, she can even make the trip for you.). Once all your clothing, shoes, and accessories have been inventoried, Katie will determine what items are necessary to complete a wardrobe fit for your lifestyle and budget. She will even instruct you on colors that work for your complexion, materials that suit your lifestyle, and cuts that are flattering for your body shape. Do you ever wish you could go shopping with a professional fashion stylist? Well, now you can! Let our stylist Katie be that best friend you wish you could take with you every time you went to the mall. Katie will pre-select items for you based on your style and budget the day before you go shopping with her. Then, on your shopping day, she will have those previously pulled items waiting for you in a fitting room to try on. She will give you her honest opinion as to how the shape and the color of each garment looks on you, and she will also advise you as to what items you should be selecting to complete your look. Take back the hours you used to spend on shopping and do something that you enjoy more. Katie will save you the time and effort it takes to find the perfect outfit(s), and she will help you maximize your budget along the way. Have you ever wondered how to maximize your current wardrobe? Do you already have staples that you love to wear but find yourself wearing them the same way every time? Do you ever wish you could style out the pieces you already have in your closet the way a stylist does? A styling session with our wardrobe stylist Katie will help you maximize your current wardrobe and the pieces you love with creative outfit inspirations that will help to refresh your look. Much the way a stylist plans out beautiful outfits for a photo shoot, Katie will provide you with photographs of the looks pulled together for you to access on those last minute mornings where you can't seem to find anything to wear. She will even demonstrate how to style each item with tutorials on how to twerk those everyday pieces into a smart, fashionable look. Allow her to mix and match your wardrobe in unexpected ways that leave you feeling classically chic for every occasion. Put the thrill and excitement back into traveling while eliminating the dread you feel when you find it necessary to pack for the adventure. After traveling around the world with one backpack, Katie is an expert at knowing the exact items you will need to pack for your perfect adventure whether you are simply going to the beach, escaping to the city with girlfriends, or going to Iceland for glacier hiking. If you do not have the necessary items for your trip, let Katie pick those items up for you to relieve some of your pre-vacation stress. Her ability to organize and stylize your vacation wardrobe will leave you wondering what you ever did without her. For those who hate the very idea of shopping, Katie offers the unique service of shopping for you! Yes! She will be more than happy to keep you away from the mall which allows you to do something you enjoy far more in your spare time. With this special service, Katie can discuss what you are searching for beforehand and take the pain out of shopping by doing the dirty work for you. After her shopping is complete, she will bring her selections to you in the comfort of your home. There you can try them on for Katie, and she will demonstrate how you can wear those selected pieces with other items in your closet. Then, once your selections have been made, Katie will take the headache out of returning by returning the rejected items for you. Doesn't that sound like a dream come true?! For those who can not travel to work with Katie (and for those who can not afford to fly Katie to you), she has come up with the perfect solution. Why not have your very own stylist via the internet? You can do practically anything via the internet these days, so why not Skype with your very own stylist! Need an outfit for a wedding coming up in a few weeks? Allow her to scour the internet to find that perfect outfit. She can provide you with outfit suggestions and the necessary shopping links for you to complete the purchase. Want a new wardrobe for the season? Allow Katie to create a customized wardrobe suited perfectly for you. She will even have the outfits stylized for you via email. Whatever you need, she will be there to help you look fabulous. It is "virtually" like having her in your closet every morning!